Destiny's Child indeed, Beyonce Knowles was meant for stardom. 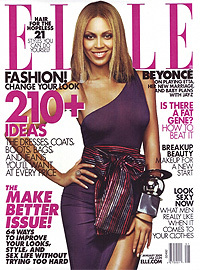 Beyonce has been topping the charts since the age of seventeen, and still going strong. The singer has been featured on albums by Justin Timberlake, Usher, Luther Vandross, and her significant other, Jay-Z. Born to entertain, Beyoncé has been in several films including her breakout role as Foxxy Cleopatra alongside Mike Meyers in Austin Powers in Goldfinger, and her role as Etta James in Cadillac Records. Beyonce launched her signature fragrance True Star, a Tommy Hilfiger pefume, in 2004, and True Star Gold perfume a year later. With Giorio Armani, Beyonce introduced Emporio Armani Diamonds perfume. 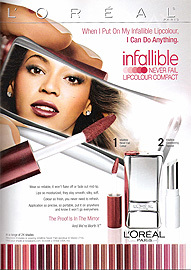 In 2010 Beyonce partnered with Coty to launched her debut celebrity fragrance, Beyonce Heat. Learn more about Beyonce perfumes at www.ThePerfumeGirl.com. Beyonce official website for her celebrity perfume collection.